Do you remember when Angela Ackerman asked us to help her friend Martha Ramirez? She was going to have heart surgery for a birth defect. Angela asked us to send her cards or heart things, or just send her some words from your heart. Because Angela is such an amazing caring woman, a large number of us responded to her request. After Martha recovered from her surgery, she reached out to me (maybe more than just me) and we became friends. I had the privilege of helping her working on her book, BROKEN HEART this past year. I think it is a wonderful book, for if you have a sibling or even a cousin in the hospital for any disease or illness. It has coloring pages at the end of the book, lots of links for information about heart diseases and disorders. It even has a spot for the child to write or draw about his or her special memories. I'd love to see this book in pediatric and cardiologist waiting rooms. Such a helpful book. Did you join in in Hearts for Martha? Did you connect with her afterwards? I feel so blessed to have her as a heart. Though she had a broken heart, she has a very tender caring, now fixed, heart. If you don't win a copy and would still like one you can go here to purchase a copy. Happy 2015! I hope all your dreams come true! wow! sounds like a really neat and helpful book. if i win it ill take it to my doctors office (after I read it first). for sure helping each other get through hard stuff really is a heart thing. I think I missed that about Martha. But she is such a great, giving person. Awesome about her book. Let someone win who has a young child. Good luck to her. Awe I am so touched you are giving away a copy! And so very touched by your beautiful friendship and to everyone who shared their love and support with me. @Thank you Lenny! So sweet of you!! And THANK YOU AGAIN for making this book shine!!! Martha is such a fabulous and giving friend. 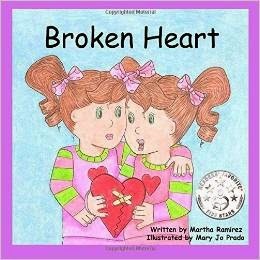 And her latest book - Broken Heart - is such a great read for a young child facing the same issue or with a sibling about to face heart surgery. I probably missed reading about Martha. I will ask my kids to check the book. Like Lenny after we read the book, we shall donate it to our local library. Thanks for this post. Ah, what a privilege to be able to help bring out such a book! Congratulations to you and Martha. Also, congratulations for starting your editing business, Sharon! I've been absent from the blogging world for some time now but I'm back. Hopefully to stick around this time :). I'm sorry I missed that. How wonderful that you were able to help with this book. It seems like it will be a very helpful one! Love this! I've seen it everywhere. You're awesome, Sharon! Hi, Martha!!! Sharon, you're always so generous with your time and expertise. I'm happy you're in the acknowledgements. What an important book. Sharon, I agree with everyone here - you are so generous! 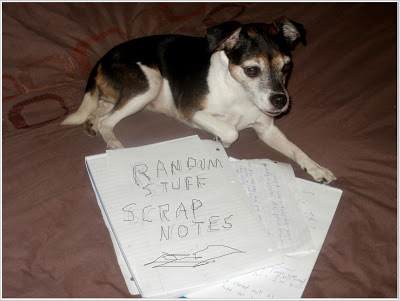 I love reading your tips on writing. This book sounds like a really helpful book. I think 2014 was a tough year for a lot of people. Thank you for stopping by my blog, much appreciated as always! This is a great book for children. I already have a copy.